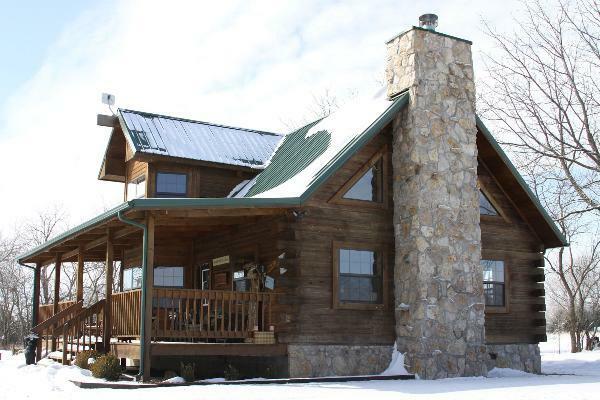 Nestled in Southeast Kansas, this rustic cabin is perfect for weekend refuge, a family vacation, a guys-only hunting outing, or romantic stay you will never forget! Offering up 2000+ sq. ft. tucked away in 80 acres of woods and prairie, this escape retreat has all the luxuries of a five star hotel without all the bustle of the city. 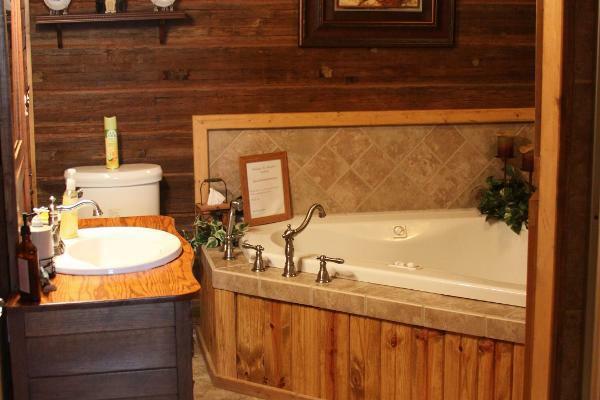 After a scenic drive, youll arrive at the secluded, enchanting property, surrounded by prime hunting acres and a glistening pond with fishing. 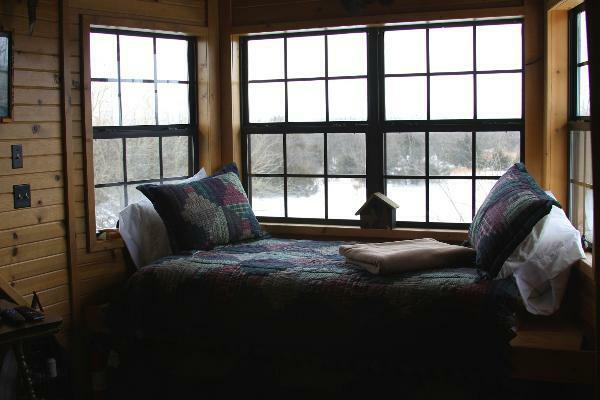 Rick Murphy used the timbers his father had collected years ago from his desire to build a cabin himself. Rocks from Portias family farm near Kincaid, KS completed their desire to involve the entire family in the building of the cabin. Just two miles south of the Landing is Murphy's Mercantile & Cafe - complete with groceries and home-style meals. Right next door to the Cafe is our brand-new antique shop: &#65279;Bittersweet Antiques&#65279;, come browse our ever-changing selection of antiques and unique gift items! Complimentary breakfast at &#65279;Murp&#65279;hy's Cafe&#65279;&#65279; is included for each member staying at the cabin. 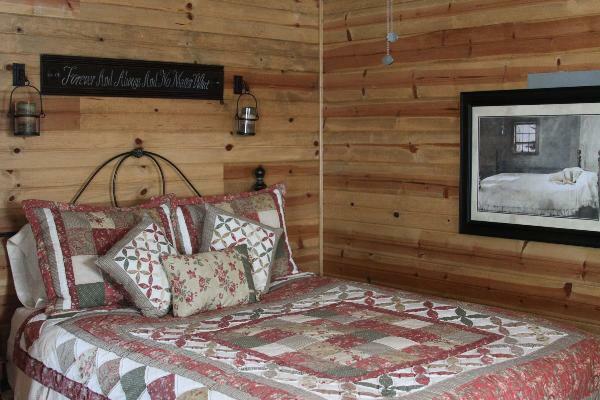 Nestled in Southeast Kansas, this rustic cabin is perfect for weekend refuge, a family vacation, a guys-only hunting outing, or romantic stay you will never forget! Offering up 2000+ sq. 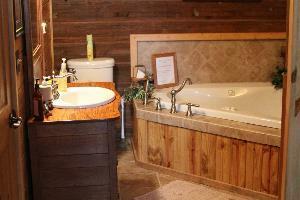 ft.
80 acres of peaceful hunting grounds. Small pond with fishing. Murphy's Mercantile & Cafe; Bittersweet Antiques - two miles away in Stark, KS. Nearby towns: Ft. Scott, Chanute, Erie. Two hours from major cities: Kansas City, Wichita, Joplin. Payment in full is expected upon arrival. Visa, MasterCard, personal checks and cash are accepted. No pets or smoking in the cabin.